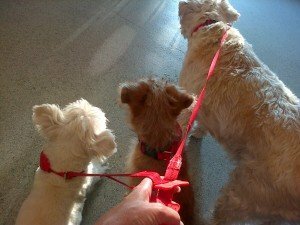 However, I usually feel safer if I have their leads, just in case we meet another dog that isn’t friendly, if we have to cross a busy road or train line or if there is any other reason where the dogs need to be under control. This is why I always walk my dogs wearing their doddle collars. 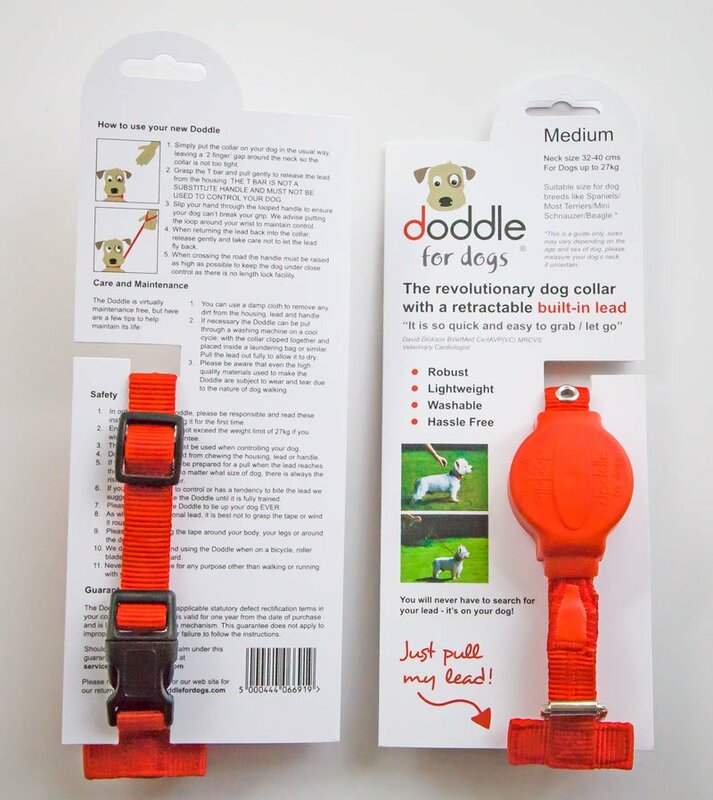 The doddle collar contains a springy 1m lead that quickly and automatically coils back into the collar when it’s not is use. It’s perfect because it means that the leads, the most annoying things that need carrying, are no longer an issue. I can walk without having to juggle quite so many objects yet I know that I can quickly keep my dogs safe and grab their leads if I need to. 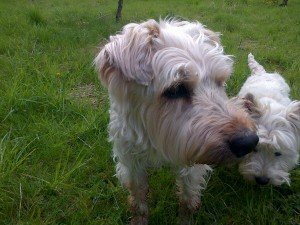 Even better, if we do meet another dog, cross a road or come across anything else unexpected, instead of having to spend time clipping leads on to the collars of each dog, I can just grab their doddle leads from their collars and carry on. The whole thing takes much less time and fiddling about and it keeps my dogs safe much more quickly. I can have all my dogs under close control in seconds rather than minutes. Doddle collars are currently on promotion on the website for £18.99, down from their usual price of £24.99. 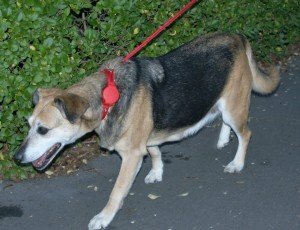 They are guaranteed safe for any dog weighing up to 25kg and are fine for dogs heavier than that if they are not in the habit of throwing themselves to the end of the lead. They are waterproof, mudproof and they can be washed in the washing machine. 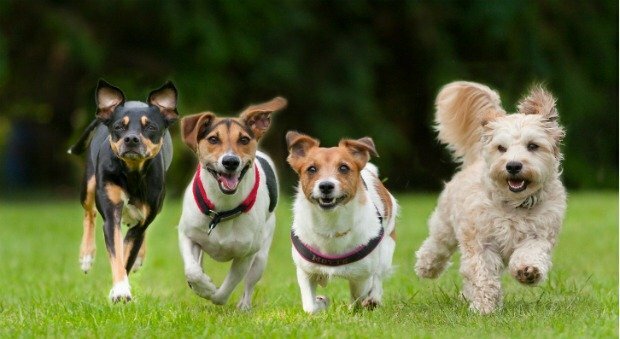 Very popular with runners, because of the ease of grabbing the dog lead, then letting go, I can thoroughly recommend them if you are from a multi-dog household as well. I wouldn’t want to be without mine.